Do you like Feed the King? Share it with your friends. Feed the King is a very catchy flash game that offers three different game modes. 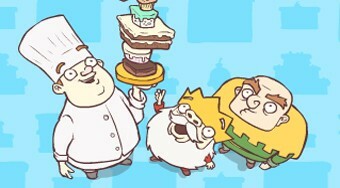 In the game, it will be your task to put on a plate a variety of sweets for the king of the mill so that you can make the highest tower from them. You have three lives in total, and it's up to you how much you can score points.